HAPPY NEW YEAR EVERYBODY! 2010 is looking to be our best year yet! 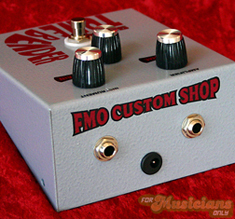 Here's the latest from FMO Custom, built at the request of Ray Jung. 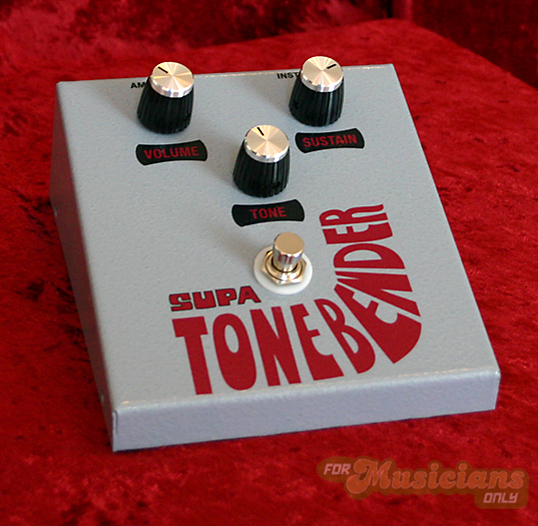 It's a custom, one-off Supa Tone Bender, made to the specifications of the original 1974 Colorsound pedal that Steve Hackett used. Whadda ya think? I ordered some expensive, but very cool looking enclosures for another build we're doing, and I thought it would be a good fit for this one as well. Greg etched a circuit board from scratch, and did a masterful building job, as usual. 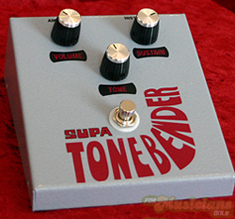 Our customer, Ray, wanted the graphics to look as close to the original as possible. Fortunately for us, we were expertly assisted to that end by Greg's wife, Sarah, who is a graphic design professional. Not only that, but it looks like Sarah will be available to help us with future graphic design projects and web design tweaks. Like I said, it's looking to be our best year yet!